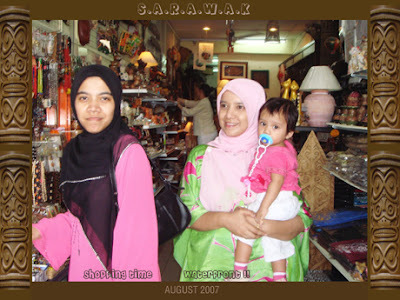 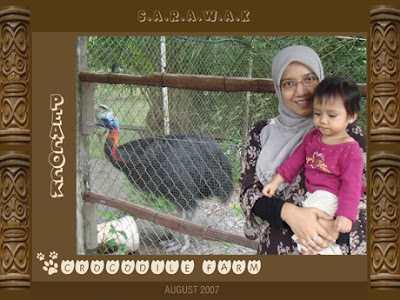 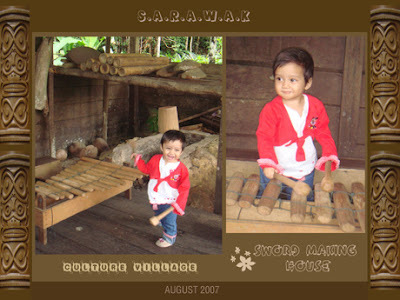 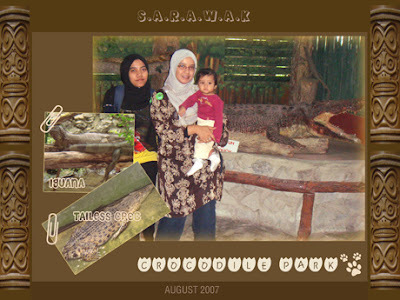 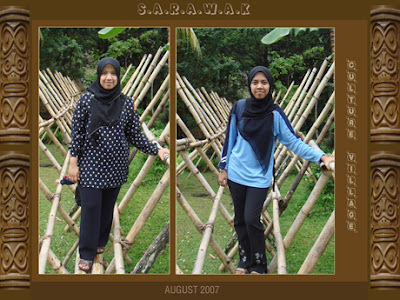 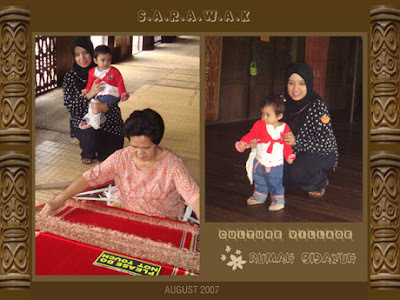 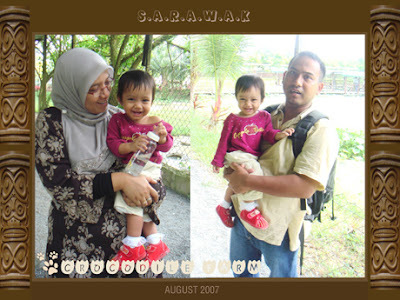 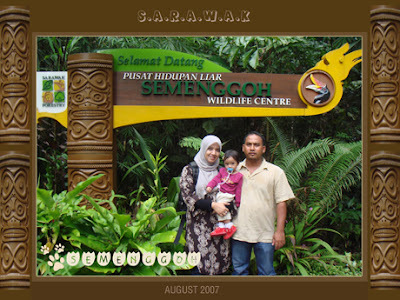 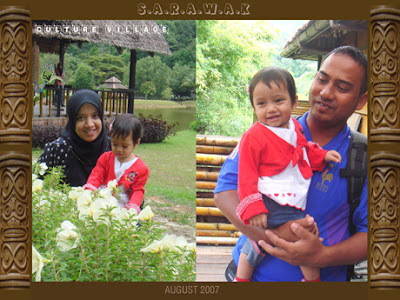 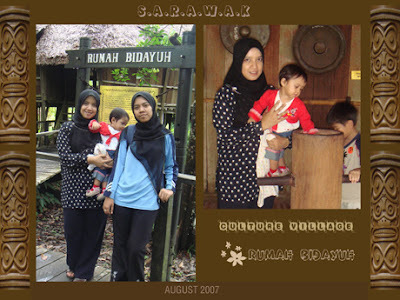 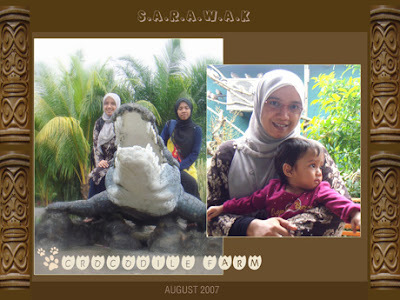 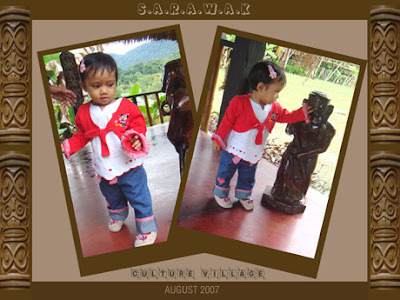 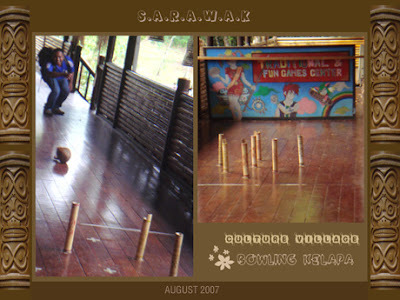 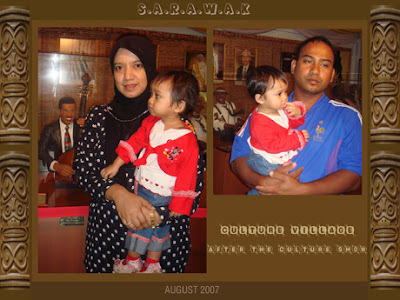 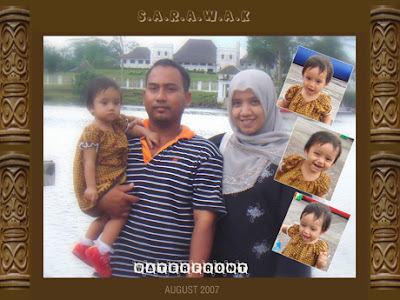 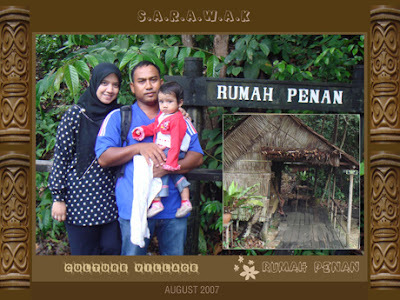 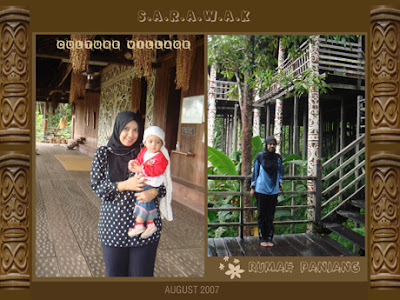 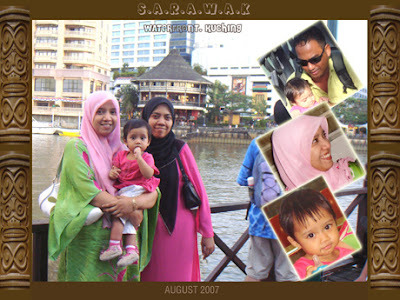 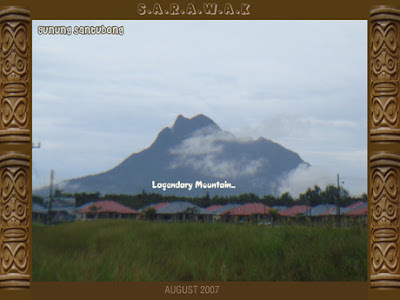 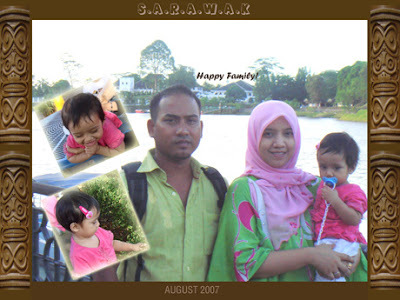 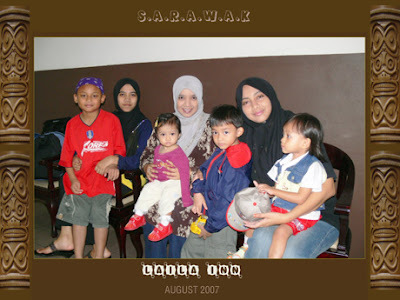 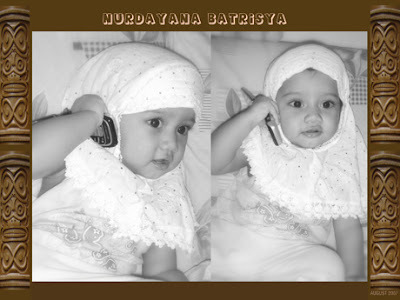 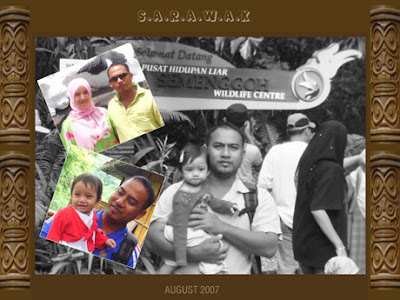 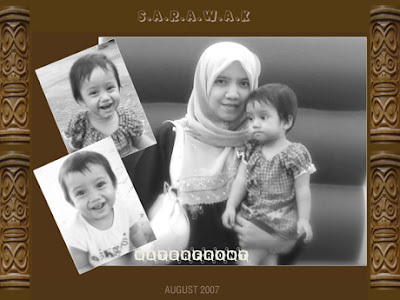 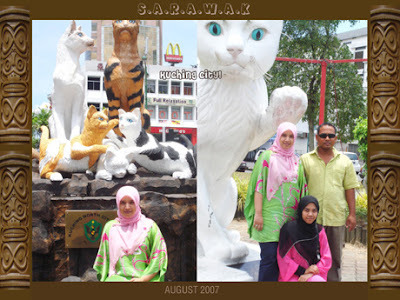 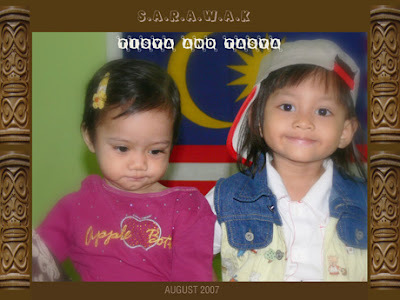 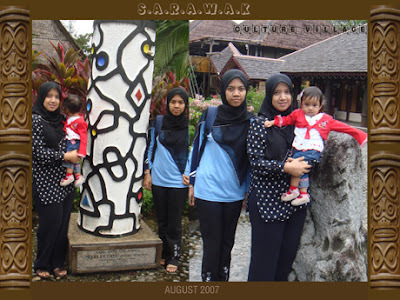 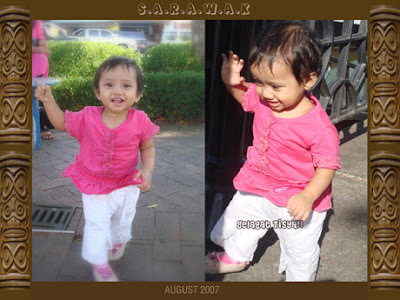 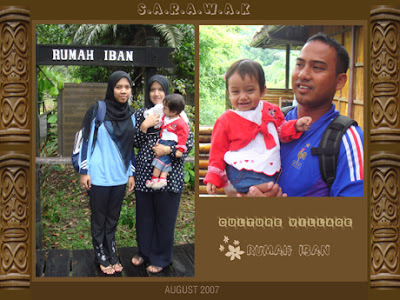 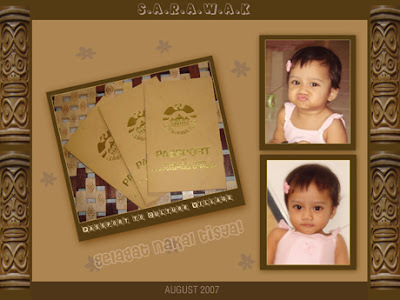 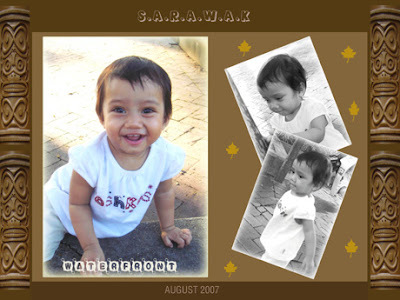 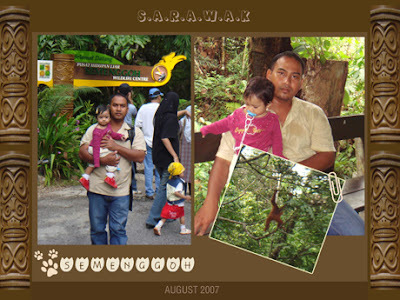 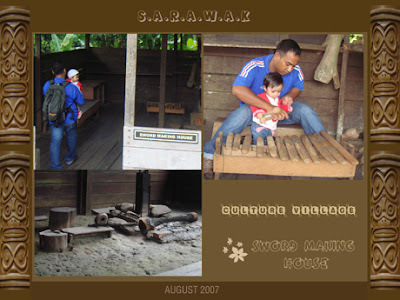 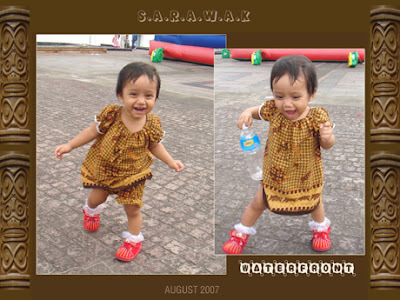 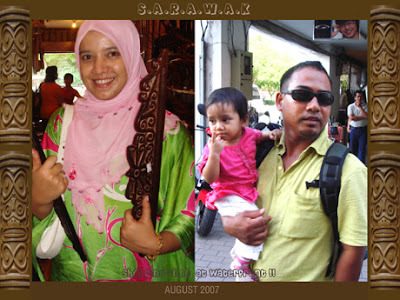 On the 22nd August 2007 we went to Sarawak. 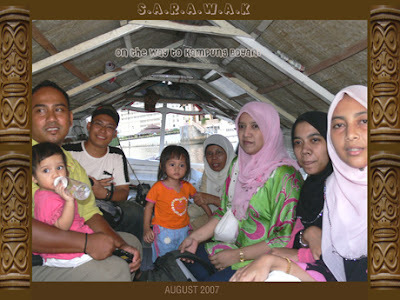 'now everyone can fly'..familiar with this word?? 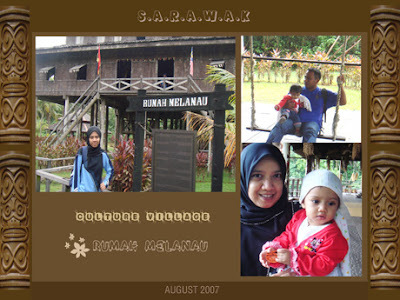 of course we went there by air asia..one word that can describe sarawak is..GREAT! 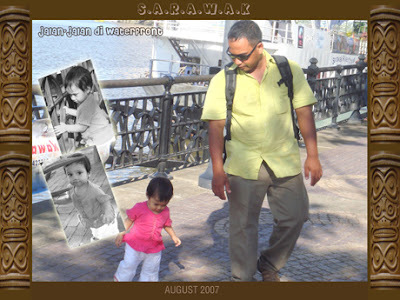 Batrisya yg tak reti dok diam..tgk jerla aksi dia..
Take a walk at Waterfront..
Panas terik di tgh2 bandar Kuching! 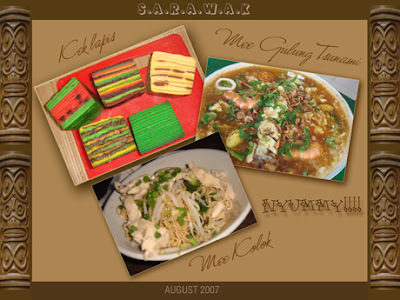 Nyummy...kek lapis tu perghh sedap..mee kolok for mee just biasa2 jer...TAPI mee Gulung Tsunami mmg best!!! 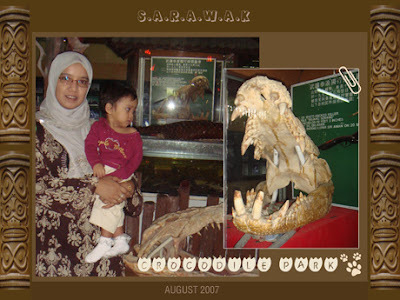 tgk jerla presentation nya! 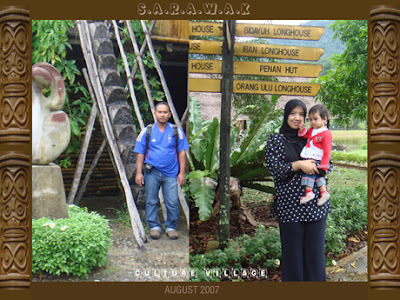 Passport to Culture Village...The Best Place to visit if u go there..so worth it with the fee rm60 per person!